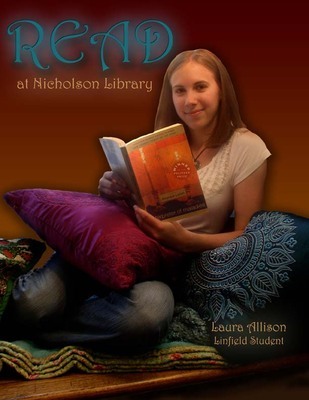 Laura Allison, Linfield student, reading Interpreter of Maladies, by Jhumpa Lahiri. Terry, Paula and Nicholson Library Staff, "Laura Allison READ Poster" (2008). READ Poster Gallery. Image. Submission 35.